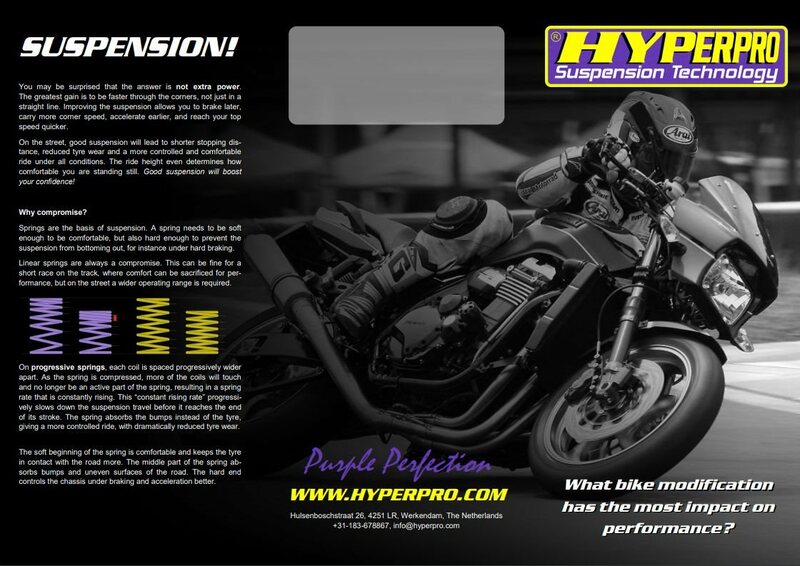 Hyperpro is a worldwide leading manufacturer of progressive suspension products for motorcycles. We are known as a supplier for progressive suspension solutions. 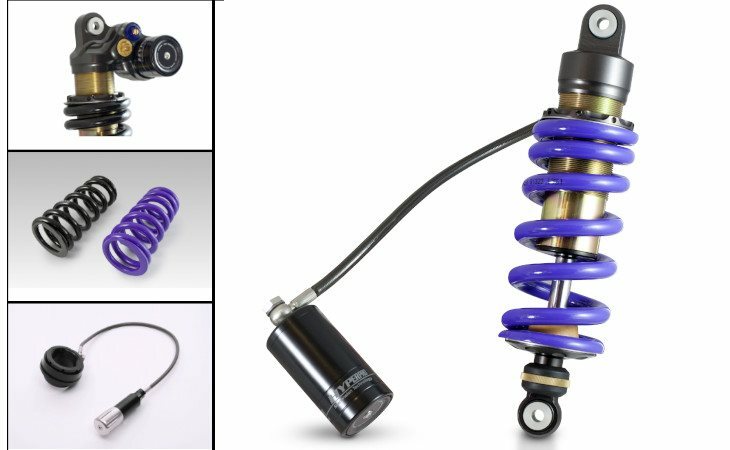 Our rising rate progressive springs are used world wide, just as our shock absorbers. And don't forget the world famous steering dampers. 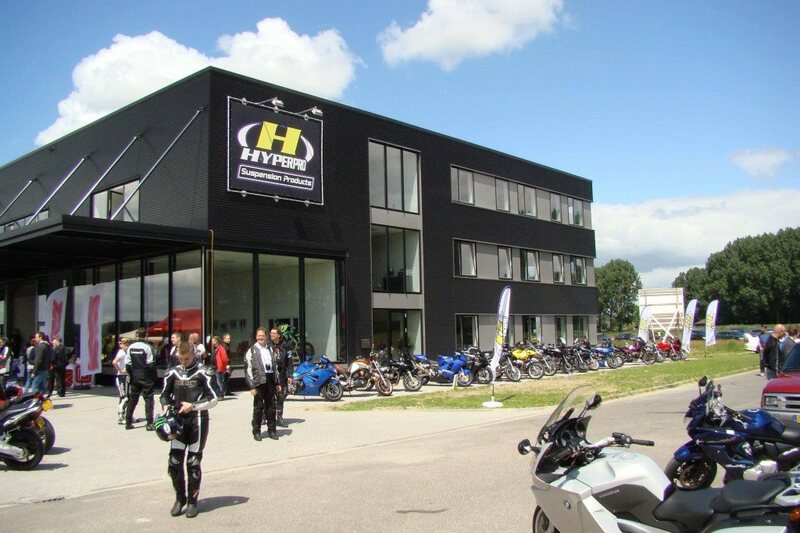 Hyperpro wants to offer the best solution for you as a rider and for your motorcycle. Safety and Control are our keywords. Those are key elements in our philosophy and thus in our developments. Riding a motorcycle must be fun and we provide you with easy tools to reach this as much as possible in every circumstance. On the racetrack, on the street, in the dirt, as a commuter, as a traveler, as an occasional rider. 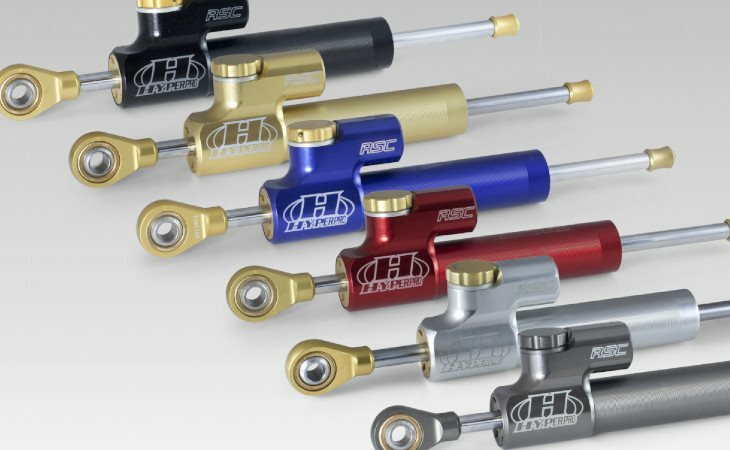 Upgrade your suspension is a good solution for everybody to enjoy their ride! We know, WE RIDE! The easiest way to prove the superiority of a progressive spring, is by performing a braking distance test. A bike equipped with progressive springs can reduce the braking distance by 15 to 20 percent in comparison to a bike equipped with other springs. In addition, a lot of the total performance of the bike is considerably improved as a result of using progressive springs. For example, small bumps, and irregularities in the road surface get absorbed immediately and large bumps or holes are intercepted by the more rigid part of the spring. This is reached by using a rising rate spring. This results in a bike that is faster on the race track and safer on the public highway! We are a Dutch company and have worldwide distributors. We design all our products ourselves and we manufacture them in our own factory, which is situated in the center of the Netherlands. Hyperpro products are approved by the German KBA/GTU/TUV. Hyperpro cares about the best performance, no matter what bike you have and what rider you are!